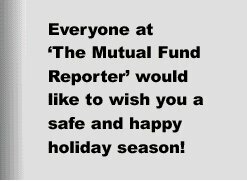 Since 1991 the Mutual Fund Reporter has informed our clients of the benefits of Labour Sponsored Mutual Funds, specifically for their immediate tax savings and credits, as well as their potential for above average returns. During the first few years following their introduction into the Canadian mutual fund marketplace, these Labour Sponsored Funds incurred modest returns, while providing substantial tax savings. However, these funds have evolved over the recent years encompassing the changing nature and scope of the industries in the Canadian economy, and are now incorporating promising young science and technology companies with breakthrough potential into their investment portfolios. Now, as these Labour Sponsored Funds continue to grow and mature, they have incurred above-average returns on top of their significant tax savings. Our top picks for this year are shown, below. LSIF YTD 1 Yr. 2 Yr. 3 Yr.
What is a Labour Sponsored Fund? A Labour Sponsored Investment Fund (LSIF) is a venture capital fund that invests in small and medium sized Canadian businesses. When we consider that over 99% of Canada's businesses operate with less than 500 employees, we can see that small business plays a significant role in the Canadian economy. It is these same small companies who turn to Labour Sponsored Venture Capital Corporations for their financing needs. An LSIF is similar to a mutual fund, where individual investors pool their money, allowing professional investment managers to make decisions on their behalf. By having investments in several different companies through the mutual fund, the individual investor has reduced overall investment risk. Contact us, or your employer, to see if you are eligible to do payroll deductions; if not, we can set you up with a 'PAC' plan. There are no fees to get involved. The potential for above-average returns. A 30% Tax Credit (15% Federal & 15% Provincial) on the amount purchased to a maximum of $5000.00 (minimum $500). An increase in Foreign Content room by three times the book value of the Labour Sponsored Fund to a maximum of 40% of the account's book value, instead of the traditional 20% foreign content limit. Since a Labour Sponsored Investment Fund will have the majority of its portfolio invested in several private companies (small to medium-sized) that are in the early stages of their development and may be on the verge of becoming public, it will inherently involve a slightly higher risk than traditional mutual funds. But as investors have come to realize, along with higher risk comes the potential for greater or above average returns. To reward the investor for taking on this additional risk, both the Federal and Provincial Governments offer favorable tax benefits in the form of tax credits. When you purchase an LSIF, you receive both a 15% Federal and 15% Provincial Tax Credit on top of your RRSP contribution benefit. LSIFs held in an RRSP may result in increases in foreign content room above the usual 20% limit. A larger foreign content position provides for added diversification and the potential for greater returns from exposure in larger foreign markets. The additional foreign content that is permitted is 3 times the book value of the LSIF assets in your account to a maximum of 40% of your plan's overall book value. Suppose you purchase $5,000 of a LSIF in 1999 in an existing RRSP account with a total book value of $20,000. Units redeemed within 5 years of purchase require the return of the tax credits to both the Federal and Provincial Governments. Exceptions are made for individuals 65 years of age, retired or cease to be residents of Canada. For a complete overview of the LSIF's available to you, see our Annual Review of Labour Sponsored Investment Funds. For more information, please email us or call our Service Centre at (416) 863-7777 or 1-800-387-9273. Both funds, as with all other Scotia Funds, are offered at no load.